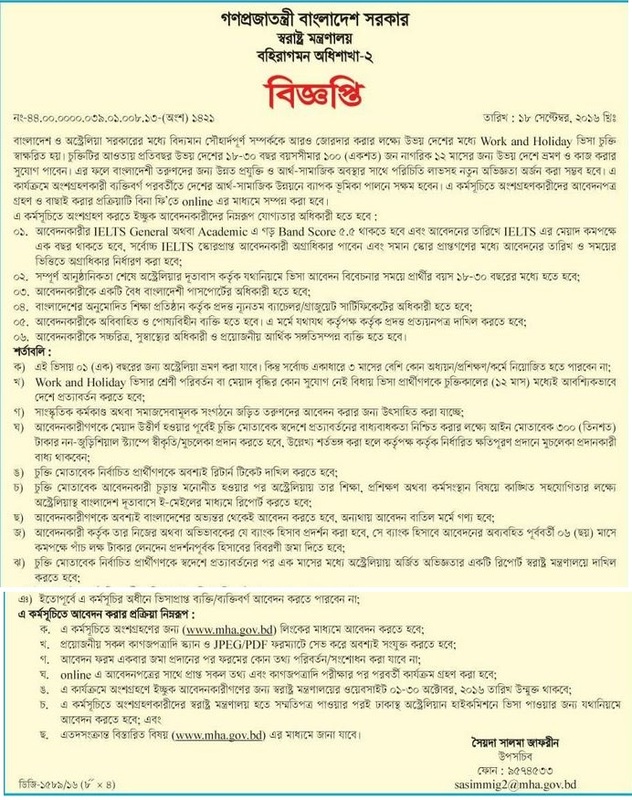 Immigration to Australia related notice has been published by Bangladesh government. Australia & Bangladesh government both are decide that Bangladeshi professional’s will be able to go to Australia for a limited period. Maximum,people want to go to the developed countries. This notification is expecting a lot of people. Australia is the land of dreams to the people of our country. Australia is the smallest continent. It’s an attractive circular. If,anyone think that he/she is perfect to apply,without any delay should be ready to preparation. To get immigration to Australia related all information,you can visit our website that is jobs.lekhaporabd.com. If you want to apply to go the Australia,you should submit your application within 01-30 October 2016. Immigration to Australia related circular has been given bellow.